Work begins this week on four new units on the Treleigh Industrial Estate in Redruth. 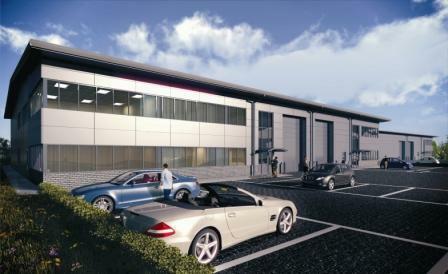 Developer, HG Sites Ltd, in conjunction with the ERDF Convergence programme, is investing over £1.38 million each in this speculative scheme due for completion during Spring 2014. The development provides a total of 2,790 sq m of factory space in two separate semi-detached blocks with sizes ranging from 465 to 1,860 sq m.
Once completed it is estimated that the buildings could support around 24 jobs.